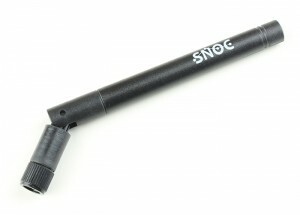 Combines the functionality of the Zero and SigFox connectivity. 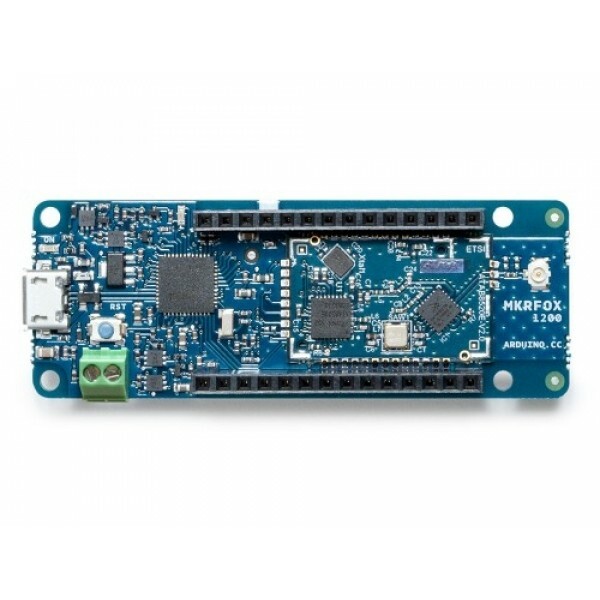 MKR FOX 1200 (Ref ABX00014) is a powerful board that combines the functionality of the Zero and SigFox connectivity. This version is designed for EMEA geographical coverage (Europe+Middle East+Africa) . A 1-year free subscription to Sigfox network is included with the board (for up to 140 messages per day), as well as free access to Spot’it geolocation service that allows you to track the board without GPS or any extra hardware. The SigFox network allows sending up to 140 messages of 12 bytes long. The Sigfox network is nationaly available in many European countries. 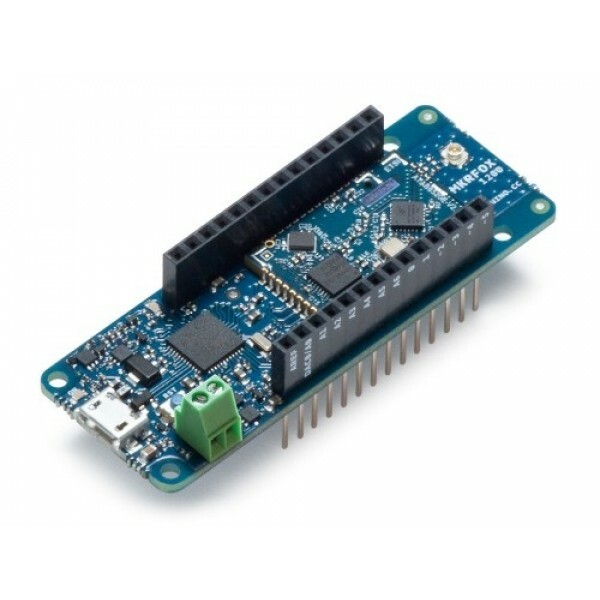 The Arduino MKR FOX 1200 has been designed to offer a practical and cost effective solution for makers seeking to add SigFox connectivity to their projects with minimal previous experience in networking. It is based on the Atmel SAMD21 and a ATA8520 SigFox module. 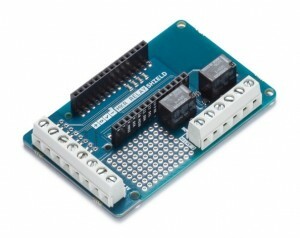 The design includes the ability to power the board using two 1.5V AA or AAA batteries or external 5V. Switching from one source to the other is done automatically. A good 32 bit computational power similar to the Zero board, the usual rich set of I/O interfaces, low power SigFox communication and the ease of use of the Arduino Software (IDE) for code development and programming. All these features make this board the preferred choice for the emerging IoT battery-powered projects in a compact form factor. The USB port can be used to supply power (5V) to the board. 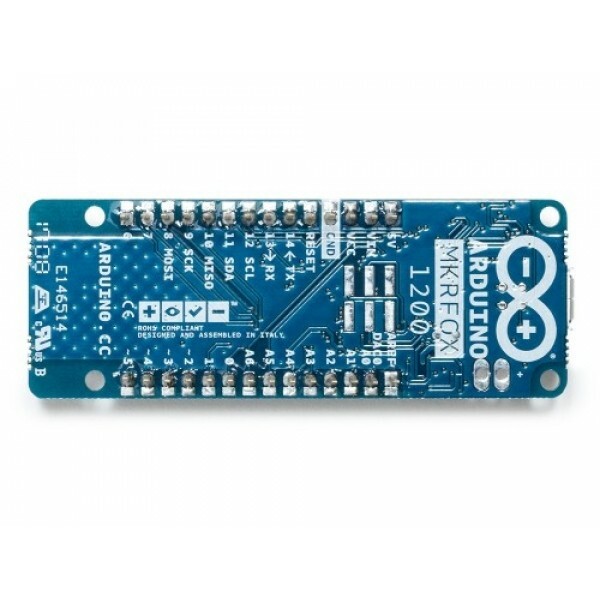 The Arduino MKR FOX 1200 is able to run with or without the batteries connected and has limited power consumption. Unlike most Arduino & Genuino boards, the MKRFOX1200 runs at 3.3V. The maximum voltage that the I/O pins can tolerate is 3.3V. Applying voltages higher than 3.3V to any I/O pin could damage the board. While output to 5V digital devices is possible, bidirectional communication with 5V devices needs proper level shifting. The MKR FOX 1200 includes a 1 year subscription to the SigFox network. The subscription will be automatically activated after the fourth message has been sent. You can send up to 140 messages per day. The MKR FOX 1200 is shipped without antenna. 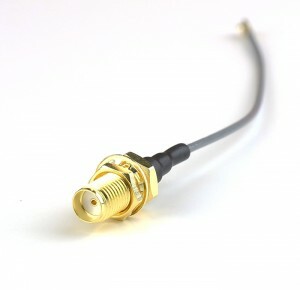 You can purchase separatetly the UFL cable + 868Mhz 1/2 wave antenna kit and attache it to the board with the micro UFL connector. If you want more information about programming the board or how to interface hardware with it, please go to the Official Product page. 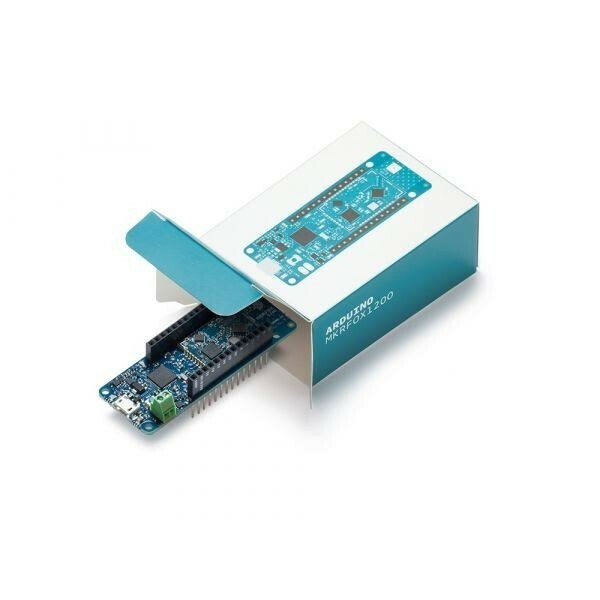 You can find in the Getting started section all the information you need to configure your board, use the Arduino Software (IDE), register your board to the Sigfox Backend and start tinker with coding and electronics.